Ellen Mary Bartholomew was the youngest daughter of James and Jane Bartholomew of Portsea, Hampshire. Born in Portsea, at the age of 4 she can be found with her siblings, Jane S., William H. and Caroline, on the 1861 census in West Ham, Essex where her father was working as a government inspector of shipping. 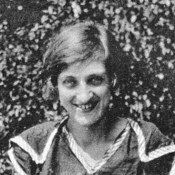 In 1871, she was a 14 year old, the last child living with her parents in the village of Stubbington, Hampshire, while working as an agricultural labourer. John Shill from London and Ellen Mary of Portsea met and must have fallen in love. Ellen Mary’s father, James Bartholomew disapproved of the union. In February 1878, Ellen Mary attained “full age” (21) no longer needing James Bartholomew’s consent to marry. The couple married in May 1878, within two weeks of John Shill turning 21. The rebellious couple wed at St. James Parish Church, Milton, “the Runaway Church”, commonly chosen for quiet “out-of-town” marriages. Ellen Mary’s brother, William Henry, and his wife, Ellen Mary’s beloved sister-in-law Harriett Matilda, witnessed the event. James Bartholomew thereafter cut Ellen Mary out of his will. Mother of 9 children, 2 of whom died as babies, Ellen Mary was personally well-acquainted with childbirth and children. Daughter Nell talks of her being a Maternity Nurse but it is unclear whether she specialized in the care of newborn babies or was actually more like a midwife. Eldest daughter Caroline (Cara) followed in her mother’s footsteps to become a Maternity Nurse and stayed in England. The Shill family lived in London during 1881 and 1891 censuses. With young children at home, Ellen Mary didn’t declare a paying occupation. In the 1901 census for Woodbridge, Suffolk, Ellen Mary was working as a dressmaker. John Shill was working at the local lunatic asylum and lived in as did the two eldest daughters Caroline and Marion. With younger children still at home, Ellen Mary did whatever was necessary to earn income and gather food as her daughter Annie described. She sometimes cared for other people’s children to bring in money. 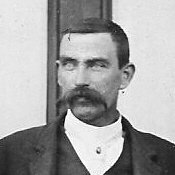 Sidney Shill, a “nephew”, was living with them in 1901. 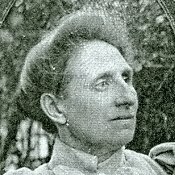 Alice Bartholomew, the crippled daughter of Ellen Mary’s brother William Henry Bartholomew died while living with the Shill family in their home in Bredfield in 1905. When her husband left for Montreal, Canada, Ellen Mary may have felt relief to see him gone but the reality of trying to manage on her own may have been greater than expected. Besides, he promised to stop drinking if they came over to Canada. Elder son Jack, sent on ahead, ensured that John Shill had kept his word. 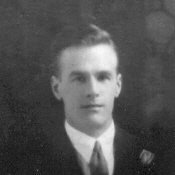 Upon confirmation of John Shill’s sobriety, the family planned their voyage across the Atlantic Ocean to Montreal. The Salvation Army paid the trip in steerage on the passenger boat, the S.S. Kensington, in April 1908. The family had to pay back the cost of the trip for 6 people. Imagine the blow to have travelled so far and taken on such a debt only to arrive to a “tipsy” husband who had broken his word. Hopping back on a boat and going home was out of the question. For better or worse, Ellen Mary’s and her children’s futures were to be found in Montreal, Canada. Physically small, Ellen Mary had a strong character. She took care of her children and coped with an alcoholic husband. Like many people of her era, she endured the losses of loved ones at young ages and the deaths of two of her own babies. Her parents may have helped little if at all. My mother, I can remember her slapping me. She used to slap your face. One time I said to her, 'You can't hit me, I'm bigger than you.' I was, you know, she was only about up to here. 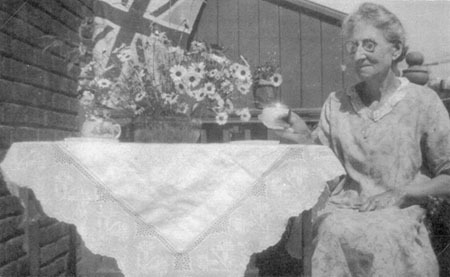 Ellen Mary counted on her eldest daughter in Montreal, Marion (May), to help in times of trouble. When she had work, it was May who would come take care of the younger children. Before Mother came home, Nell had to get rid of the dog. In May 1916 when Ellen Mary and John Shill received word of their eldest son Jack’s death in the war, daughter May came to stay with a distraught Ellen Mary for about 3 weeks. 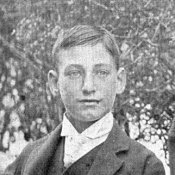 Sixteen months later, in September 1917, the ordeal was repeated with word of Bert’s death in an accident. 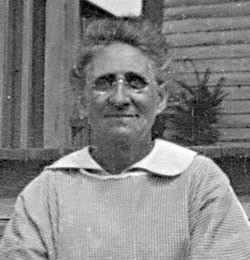 Ellen Mary could have been a bitter and angry woman but in her photos she appears a kind and gentle person. She would laugh and talk with the girls’ boyfriends despite the jealousy of her husband. When John Shill would lock the girls out of the house for staying out after curfew, Ellen Mary would get up after he went to sleep and let them in. Between November 1918 and June 1920, Ellen Mary and the girls moved out of the home with Father to a flat on Selby St. which they had to pay to furnish. The war over, the three younger girls, Annie, Grace and Nell, were in their twenties and working. Both sons had died. Once again, Ellen Mary started over. Yet, living with her three daughters may have lightened Mother’s burdens somewhat—it laid the foundation for a livelier social life . Certainly, young men would have been attracted to a busy home with 3 single women! When youngest daughter Nell went on holidays to the countryside, she and her best friend, Marie Glazin, always took their mothers along. In this way, Ellen Mary had the chance to leave the city at least a week or two a year. Nell talks about staying with her mother when she came home sick after her honeymoon. With the birth of Nell’s first two children, she naturally turned to her mother for help and advice. She had been over to England and back, for the first time since she'd come over. She had everything finished. She had made her trip to England. She'd seen everybody there. She'd seen that I had a son. And she'd given the breakfast, so it didn't matter. She didn't care. What happened was, she'd had this operation of the stoppage of the bowel. They were supposed to put a pillow beside you so you couldn't turn over, ‘cause if you turned over you might break open the incision. So, we employed a private nurse, and she left and went and had tea. Mother turned over and broke open the incision and everything fell out. 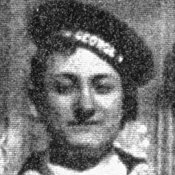 Sarah Jane, eldest sister died, age 31. Hannah Ellenor, Ellen Mary and John Shill’s first child died at the age of 2 days. 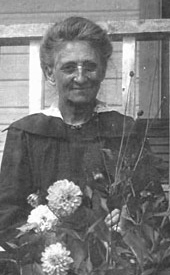 Jane Bartholomew née Willis, Ellen Mary’s mother, died, age 59. Violet Elizabeth, Ellen Mary and John Shill’s 4th child died at the age of 16 months. James Bartholomew, Ellen Mary’s father died, age 76. He didn't even mention her in his will.